Three Countries and Dozens of Sites! A private Nile cruise, ancient sites, chartered flights, and a luxurious Jordanian tent-camping experience ending with four amazing days in Israel! The 2018 Signature Tour sold out in record time, so we've expanded the 2019 itinerary to include Israel! 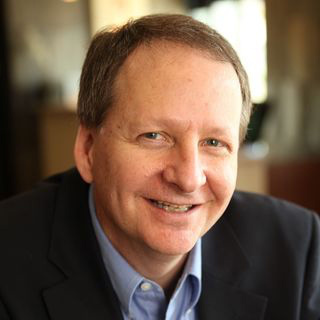 You won't find a better way to experience three countries and over two-dozen sites while learning from Jonathan Greer each morning and evening as he unpacks what we're learning in the context of biblical history as well as our daily faith. Jonathan & Jennifer Greer have enjoyed learning and teaching the Story of the Bible together in a variety of contexts in the Middle East for nearly two decades. They are faculty members at Grand Rapids Theological Seminary where Jonathan serves as Associate Professor of Old Testament and Director of the Hesse Archaeological Lab and Jennifer as Adjunct Instructor of Bible with a New Testament focus.  Together they lead an annual study tour course in cooperation with GTI to the lands of the Bible as well as courses in biblical interpretation and background studies. Jonathan holds M.A. degrees in Old Testament and Biblical Languages from Gordon-Conwell Theological Seminary and a Ph.D. from The Pennsylvania State University where he focused on Hebrew Bible, ancient Near Eastern studies, and archaeology. 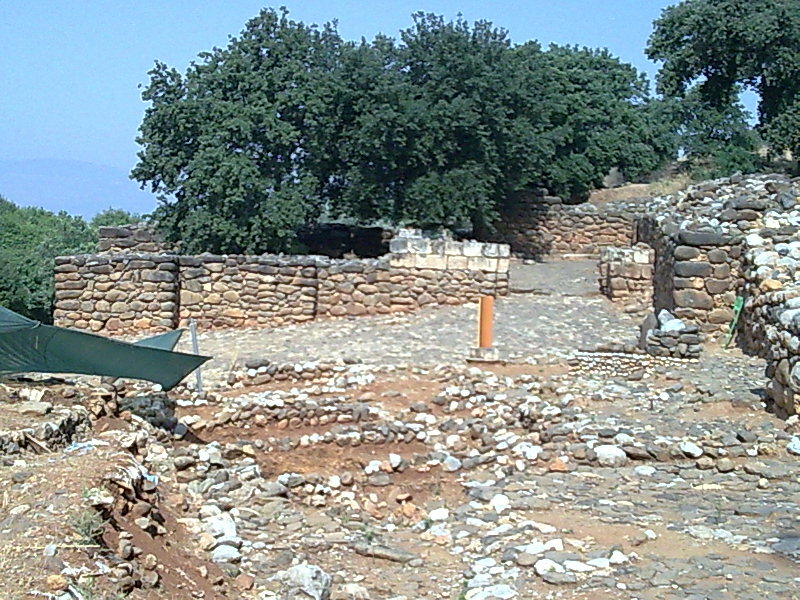 He is also the Associate Director of archaeological excavations at Tel Dan, Israel, and has published a number of works on the relationship of the Bible to the ancient world (see his latest project here). Jennifer earned an M.Div. at Gordon-Conwell and, in addition to her teaching, serves in leadership at Madison Square Church in Grand Rapids, where they reside with their three children. She and Jonathan are currently working on a book entitled How to Read the Bible in Its Ancient World and Why It Matters for Ours. They look forward to every opportunity to teach the Bible and find no better classroom than the lands where the Story all began. + $-1000.00 for Egypt w/ Nile Cruise & Jordan (No Israel) departure. After our luggage is collected, we’re taken by motor coach to the wonderful Le Meridian Pyramids Hotel for a good night’s sleep before our adventure begins in the morning. 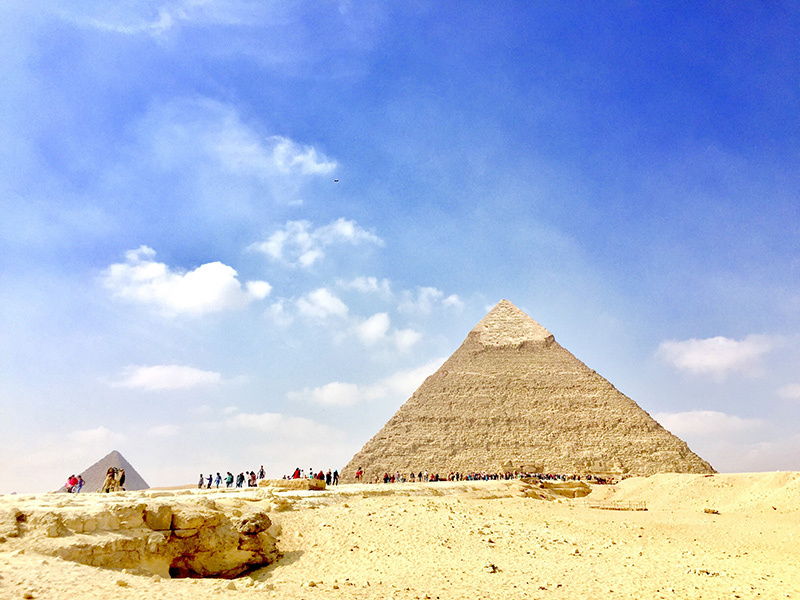 After breakfast and our morning orientation meeting, we will make our way to the iconic Pyramids of Giza and the Great Sphinx, all constructed during ancient Egypt’s Old Kingdom period. After lunch, we will head to Cairo airport and board a private charter jet. 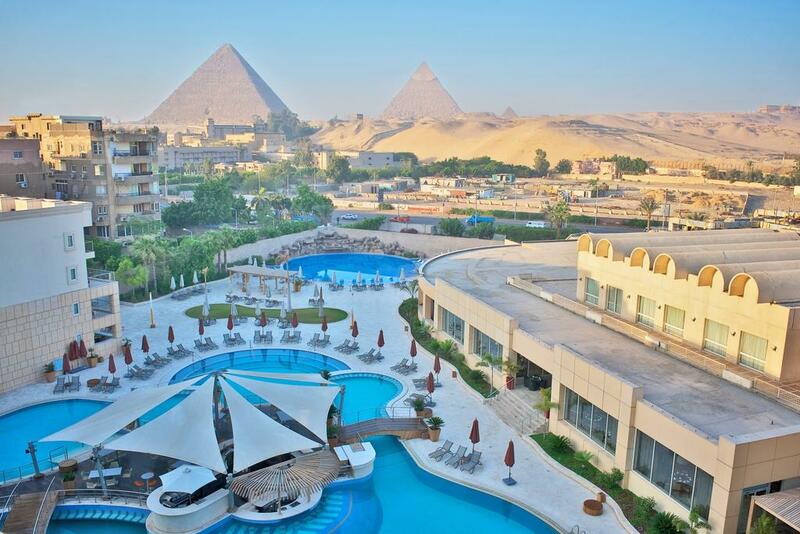 We will then fly to ancient Thebes, modern day Luxor, where we will be taken to the beautiful Nile River Palace for a good meal and well-earned sleep. We will begin the day with a “hands-on” experience of brick making, much in the same way the ancient Israelites would have known it, and then we will cross over to the west bank of the Nile River. There we will visit the Ramesseum (the memorial temple of Ramesses II) and Medinet Habu (the memorial temple of Ramesses III) as we discuss the power of New Kingdom pharaohs and the crisis of ca. 1200 BC and how these realities relate to the biblical story. 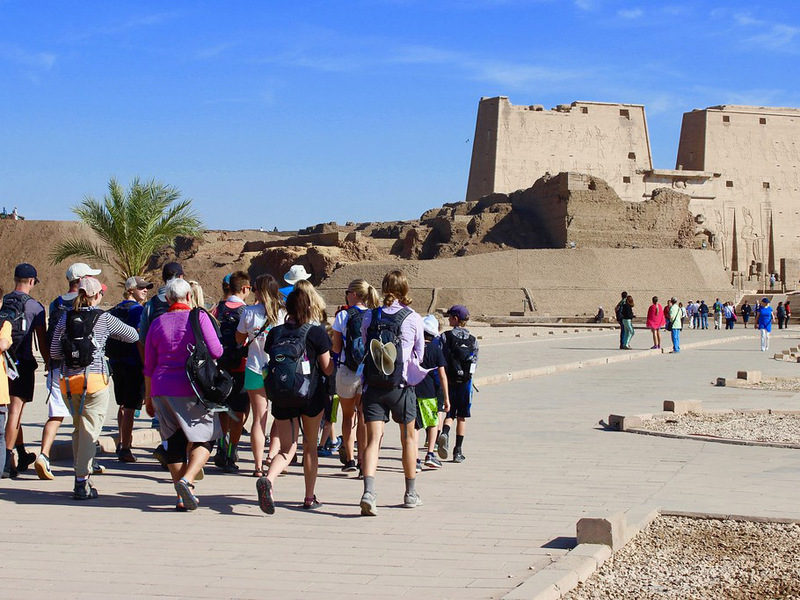 We will walk through the ancient and wonderfully preserved temple complex of Karnak and then head to the west bank of the Nile. There we will explore the elaborately painted tombs of key Pharaohs in the Valley of the Kings and also visit the mortuary temple of the female pharaoh Hatshepsut. That afternoon, we will re-board the beautiful Movenpick Nile Cruise ship and begin our journey along the Nile. This is a day of cruising and touring as we make our way south. 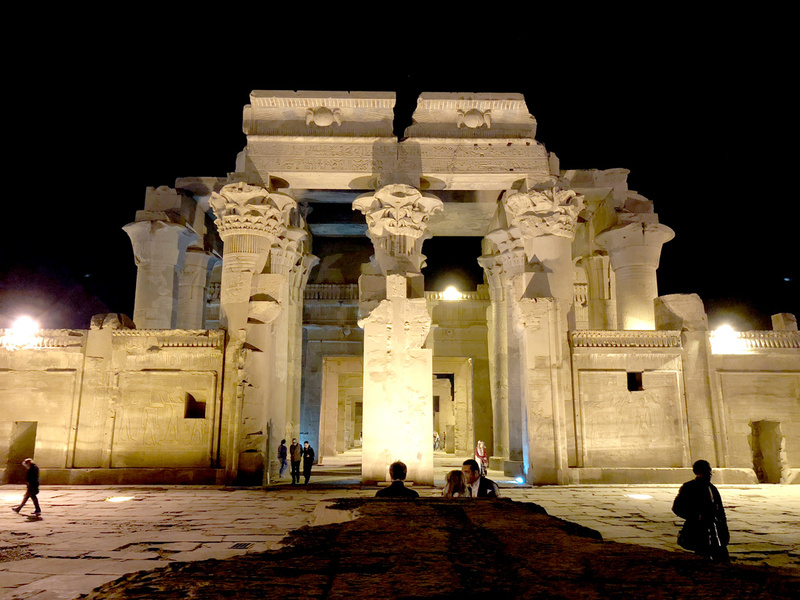 First we will come to Edfu where we disembark to visit what is perhaps the best-preserved temple in all of Egypt: the temple of Horus, the son of Osiris and Isis, and protector of Pharaoh. Returning to our ship we will continue to sail south to visit the temple at Kom Ombo, which honors Sobek the crocodile-headed protector of Egypt. This day, after a visit to the massive “unfinished obelisk,” we will explore Elephantine Island in the center of the Nile, the site of a temple to Khnum, an Egyptian creator deity, and also a temple to Yahweh, built by a Jewish mercenary community who wrote letters to Jerusalem mentioning figures from the book of Nehemiah. In the evening, we head back to our cruise ship for dinner and our last night on board. 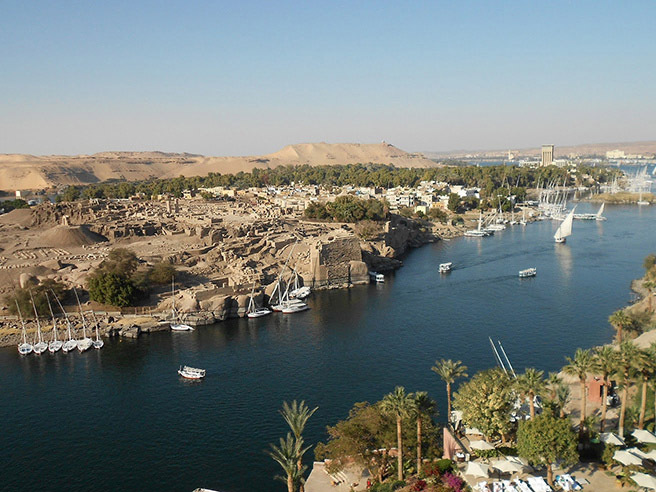 This morning we will bid farewell to our ship and crew and make our way to Aswan airport. There, we will board our private chartered jet and fly to Aqaba, Jordan, to our waiting motor coach which will bring us to the spectacular Wadi Rum. 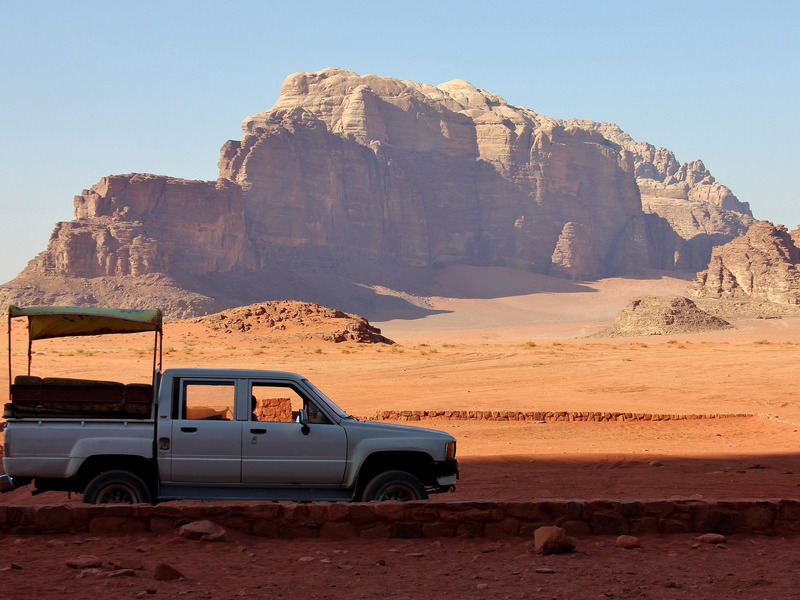 Once we check into our tents we will head out for a jeep ride in the majestic Wadi Rum as we explore the sites and watch an amazing sunset. Our Bedouin friends will have a traditional supper for us called Zarb, (a roasted lamb and/or chicken feast) waiting for us when we return. We will say goodnight and make our way to our personal tents where we spend the evening “glamping” at Sun City Camp. 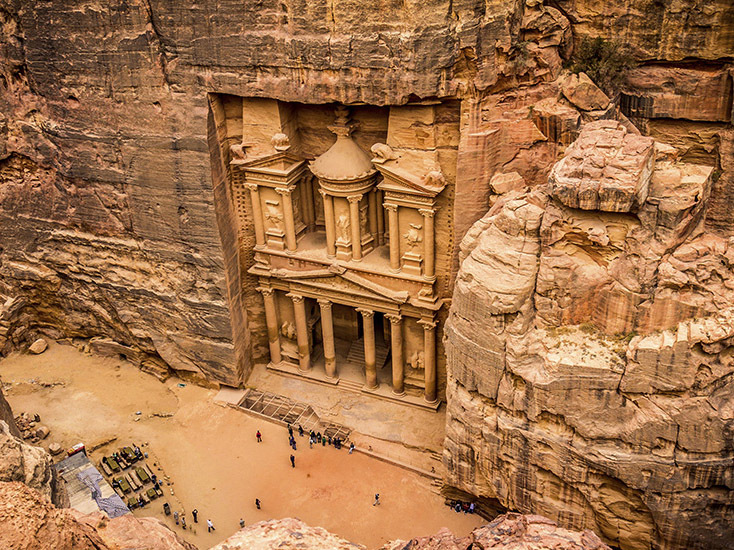 After a great night of star gazing and enjoying the amazing sunrise we will make our way by motor coach to the World Heritage site of Petra to learn about the Nabateans, and their relationship to the biblical story, and see to their distinctive tomb façades. This day is all about transitions. 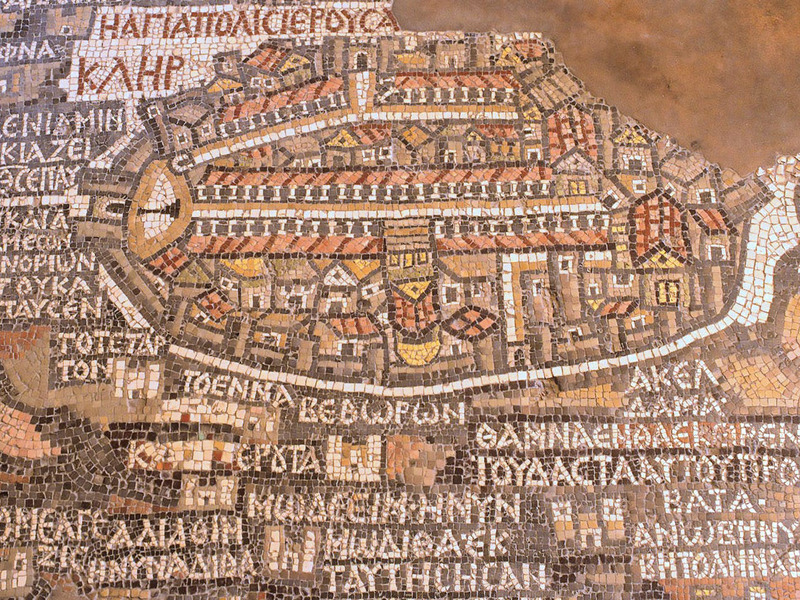 After visiting a mosaic floor containing the oldest map of the Holy Land, we will explore the Plains of Moab and Mt. Nebo, where we will consider the transition from Moses to Joshua. We will enjoy a Jordanian lunch and then bid farewell as some of our group make their way to the Geneva Hotel in Amman to overnight and prepare for their flight home the following day. Others who have signed on for the Israel extension make their way further north crossing at the Sheikh Hussein Border entering into the Galilee, where we will continue the story. After a short drive north by motor coach we will settle in to the Ein Gev Hotel, and enjoy a delicious Israeli dinner and a Galilean sunset before our night’s rest. We will begin our day at Tel Dan, continuing our story of the settlement of ancient Israel and continuing into the period of the Hebrew kings where we will note an important inscription mentioning “the house of David” and an Israelite temple found there. We will then transition to the New Testament and the ministry of Jesus, considering who Jesus is in the region of Caesarea Philippi, and exploring where he taught and healed in the towns of Capernaum and Magdala before returning for the night to the Ein Gev Hotel. 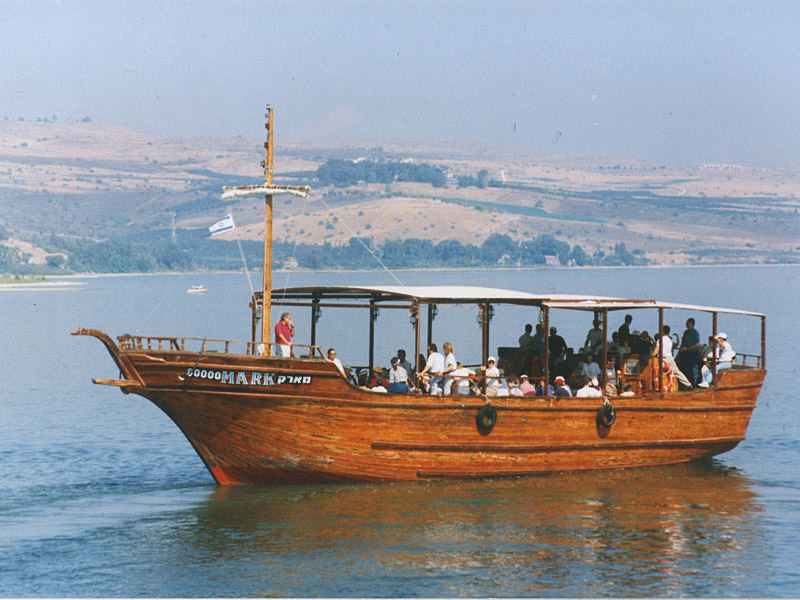 After a morning boat ride across the Sea of Galilee and an exploration of an ancient boat from the time of Jesus, we will make our way to the guardian city of Megiddo and learn of its role in Egyptian imperialism, connections with Solomon and Ahab, and the imagery invoked in Revelation. Our final stop will be the magnificent Caesarea Maritima on the shores of the Mediterranean where we will consider the person of Herod the Great, and more, before making our way via motor coach up to the ancient city of Jerusalem and the Dan Hotel Jerusalem. 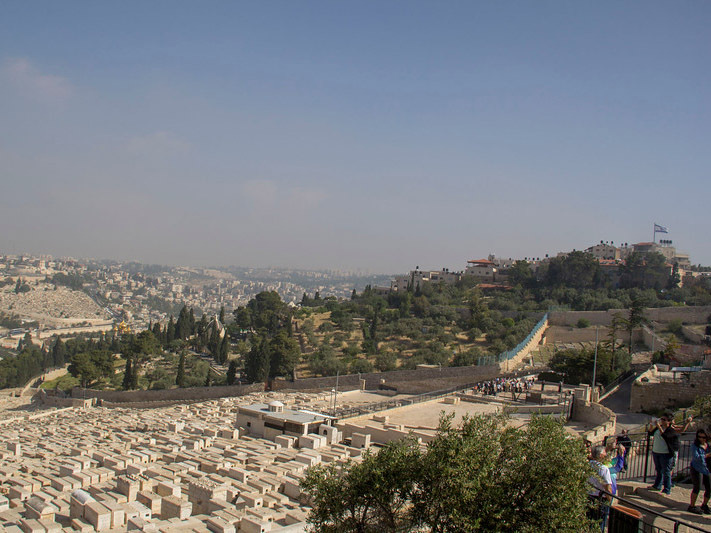 Following a brief morning meeting in the hotel, we will begin our final day with a walk down from the Mount of Olives to the Old City, followed by visits to the pools of Bethesda, the Western Wall, and Southern Steps excavation areas. After lunch at a restaurant nestled in the heart of the Christian Quarter, we will conclude our journey with exploration of the Church of the Holy Sepulcher, the church which marks the traditional site of Christ’s crucifixion, burial, and resurrection.